A unique and monumental work of art, commissioned by Lloyd’s Register. HRH Princess Anne officially opened Lloyd’s Register’s Global Technology Centre at the University of Southampton and celebrated the installation of this major new work of art. 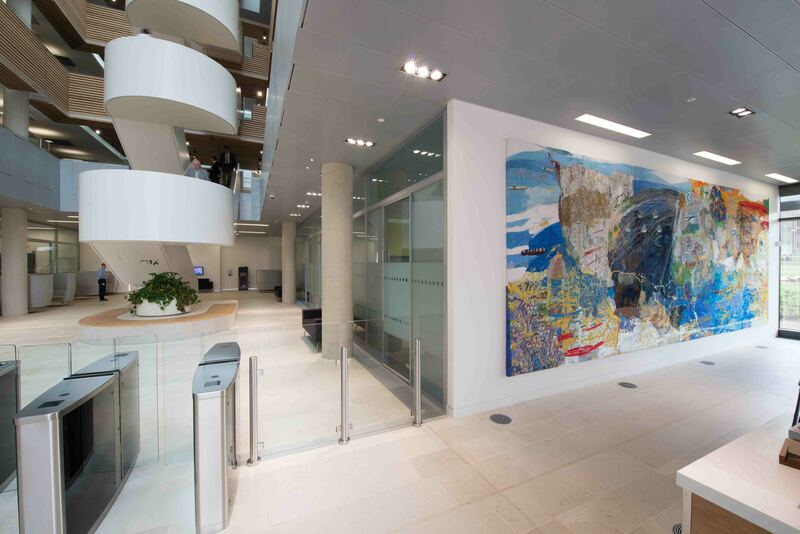 A Map to the Future by Alice Kettle is an 8 metre x 3 metre embroidery and is installed in the Grimshaw designed building on the campus in Southampton.